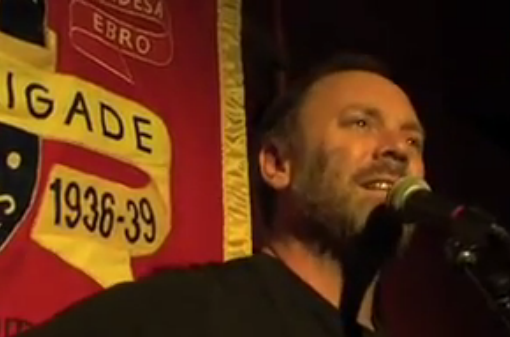 David Rovics sings at the 2012 Guernica commemoration. Still by Gregg Macdonald of Consequential Films. This past April 26, our friends at the International Brigade Memorial Trust co-sponsored a wonderful event in London commemorating the 75th anniversary of the bombing of Guernica. Gregg Macdonald’s video of the event–which concludes a rousing musical homage to the Lincoln vets by David Rovics–can be viewed here, or below. The event was organized in collaboration with Philosophy Football and the Basque Children of ’37.